Technology has improved every aspects of healthcare delivery including patient care, staff management and streamlining various processes. Despite many advantages, it has many shortcomings too. 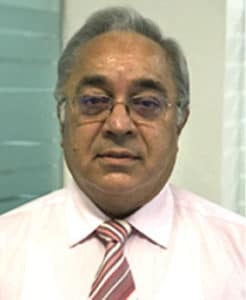 If used in clumsy manner or handled by inept staff, the technology may prove baneful to an organisation, writes Dr P N Kakar, Medical Director and Chairman-Quality, Park Group of Hospitals, for Elets News Network (ENN). As a young man I always used to wonder why in India people talk about distance in miles and kilometers, whereas in the western countries one always measures distance in minutes. In the twenty first century as India is striving to enter into a developed world, one finds the same terms are now being used in India as well, though in the metropolitans only. The reason is that the technology has come in a big way in India and the infrastructure too is coming up very fast. These developments have brought changes which automatically drive you faster towards your goals and one becomes more and more productive. Healthcare has adopted technology in a big way and brought both opportunities and challenges within the system. In the Hospital management too, technology has made its mark and has started to play a big role. 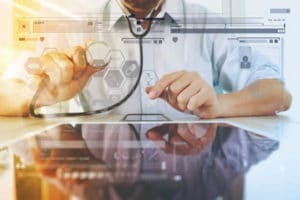 Embracing technology not only helps in diagnosing patients more correctly but in managing personnel, equipment, inventory, finances, quality, planning, staff performance and strategy as well. Today technology has brought us to a situation where just at the click of a button one can know what is happening in the Hospital. You can have all information related with patient care including admissions, discharges, deaths, notifiable diseases, available beds, operation theatre lists, infection rates, revenues and all other details that one can ask for. However the challenge is always to keep a backup. It is important to understand that though the technology has moved by leaps and bounds and has brought India into the leading five nations into space industry, if not used properly or misused or handled by inept staff, it becomes a big headache. With the use of technology, hospital management as well as planning has become much easier. One can plan management of ICUs from one centre and advise treatment to few other ICUs by means of telemedicine. One can plan manpower accordingly. Pitfall is that if the connections go wrong then you may find yourself stranded. Clinical, financial and data for the administrative purpose all can help you in planning the strategy for further growth of the hospital. Appropriate data analysis becomes the guiding factor. However if the data is not correct it can mislead the planning and can prove to be a disaster especially if you are doing a business planning for a new project. Technology has made communication much easier and helps saving time and manpower. Today it is possible to do transatlantic robotic surgery, a huge advancement in medical science. Perfection in the same can be brought out by simulation, yet another aspect of advancement of technology which allows you to err and yet get away with it. Continuous training by simulation increases the safety margin and reduces the errors. Simulation a great teaching tool and is the future of medical training. In the modern environment patients do not allow themselves to be used for teaching medical students and the technology has started to fill in the gaps. HIS system is a need based expandable system. One has to define the areas one wants to monitor and data collection and analysis can be done accordingly. Challenge is to change the mindset of the staff and make them tech-savvy. Technology has allowed us to expand our wings to a wider spectrum of the society and one such outcome is medical tourism. While it allows the world to use our expertise it also shrinks the world and bring people closer. Medical tourism also brings medical legal aspects in a big way to the forefront. Challenge is to keep abreast with latest technology that comes in the western world. So ultimately technology in hospital management provides both opportunities and challenges together. It is for us to chose and exploit as it suits us.